Two cards in this post. Both using black & white, plus a color. The first card is one I made for the current One Layer Wednesday challenge (#26), to use black & white plus red. I made a top fold square card (4.25 x 4.25). Top fold cards are my favorite to make. I stamped the Hero Arts cling Classic Holly on the right hand side of the card in black ink. I then colored the berries red and added some Candy Cane Stickles. The sentiment, also from Hero Arts, was stamped in red. 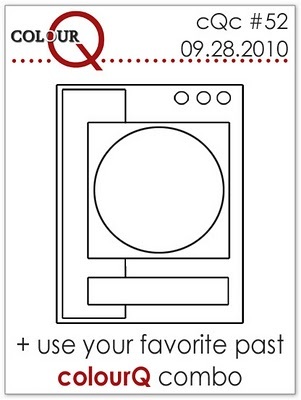 The second card is for the current Play Date Cafe challenge (#53) to use black & white plus burgundy. Well... my card is more like black & burgundy with some white! This card is also top fold, but a slightly smaller size then a standard A2. It is actually 4 x 5.5. Thus allowing for the bit of overhang by the black strip, but not making it necessary to find an odd sized envelope to fit the card in. Once finished the card is 4.25 x 5.5 - standard A2. Anyway... I stamped the Daisy Patch background stamp from Heartfelt Creations on the burgundy cardstock using VersaMark watermark ink. The same was done to the black cardstock strip. 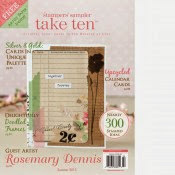 The daisy swirl image (also Heartfelt Creations) was stamped on white cardstock with Stampin Up! 's Bravo Burgundy and the image diecut using a Labels 14 die from Spellbinders. I ink distressed the edges a bit using the Bravo Burgundy ink. Another daisy was stamped in BB, trimmed out and adhered over the top of the first daisy with pop dots. Black Diamond Stickles were added to the swirls. 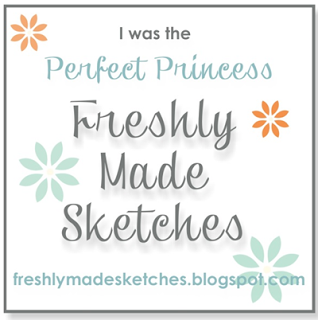 The sentiment is from PaperTrey Ink, punched out using Stampin Up! 's Word Window punch. Sorry I don't have the PDCC graphic... I couldn't upload it for some reason. Thanks for taking a peek... hope everyone has (or had) a happy and safe Halloween! A card for two challenges. The new Stamping In Time (#21) challenge over at ODBD is to use your favorite embellishment and the challenge at Stampin' Sisters in Christ (#62) is to make a card using pink and ribbon (for breast cancer awareness month). A happy set of circumstances for me since one of my most favorite things to use on a card is RIBBON!! I kept things really simple. I stamped the pink card base (SU! Pretty in Pink) with the Hero Arts Music Background cling (one of my new favorite stamps!) using CTMH's White Daisy ink. I did some direct to paper inking of the edges using the White Daisy ink. I stamped the sentiment from the ODBD set From Me to You on cream cardstock and matted it with some kraft. I tied the bow using SU! 's Pretty in Pink striped ribbon... Yummy!! I added a few rhinestones for just a bit of bling. Thanks for taking a peek... hope you are having a wonderful day! 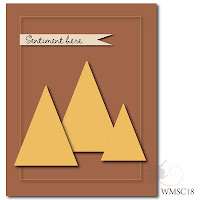 Supplies: Cardstock: PTI Vintage Cream & Kraft; Stampin Up! Pretty in Pink; Stamps: ODBD From Me to You, Hero Arts Music Background cling; Ink: Stampin Up! Pretty in Pink; Ribbon: Stampin Up! Pretty in Pink Striped ribbon; Kaiser pink rhinestones; Fiskars Corner Rounder. I got a card done for the current Waltzingmouse sketch challenge (#20). I was going to use some WM stamps, but instead decided to use some of my Hero Arts stamps. I did manage to fit one WM stamp onto the card, though... the little bird cage from the Asian Garden set. I stamped the Scroll Vine image on cream cardstock with Ranger's Brushed Corduroy ink and then applied Barn Door & Fired Brick distress inks with the ink tool and foam pads. I wasn't entirely happy with the color as it seemed way too bright to me. So, I spritzed it with some Vanilla Shimmer Smooch, which toned down the color a bit. I stamped the kraft cardstock with the Music Background cling using CTMH's Daisy White ink. The bird cage was also stamped on kraft with the white ink. Some more Smooch was spritzed on those, as well. I don't claim to be the best photographer and with it being a gloomy day today, it was extra hard for me to get a good picture. Thanks for taking a peek... hope your week has gone well! Supplies: Cardstock: PTI Vintage Cream & kraft; Stamps: WM Asian Garden; Hero Arts: Scroll Vine & Music Background clings; Ink: Ranger Brushed Corduroy, Fired Brick & Barn Door distress inks; Vanilla Shimmer Smooch; Stampin Up! hemp twine. Whew! I'm so glad that October is almost over! I have been going a crazy making things for various different projects I got myself involved in. I finished the last one today and I am ready for a little break in the action! Today I'm sharing a project I made for the Heartfelt Creations blog. My goal is to post my Heartfelt Creations design team projects every Wednesday from now on. For my card I used the following stamps and dies: HCPC 3318 (Daisy Patch Flowers); HCPC 3325 (Daisy Patch Bouquet); HCPC3322 (Daisy Patch Background); HCPC 3323 (Large Elegant Word Background) and HCD 703 (Daisy Patch dies). I used the emboss resist technique for the card. I won't bore you with the details, but I will say that I enjoyed playing with all the different inks to get the desired effect! Once everything was assembled, I added some Buttercup yellow Stickles to the centers of the flowers. Thanks for taking a peek... enjoy your Wednesday! Supplies: Cardstock: PTI Vintage Cream & Lemon Tart; Stamps: Heartfelt Creations; Ink: Ranger Distress ink: Tea Dye, Scattered Straw, Wild Honey, Bundled Sage & Forest Moss; Dies: Spellbinders Ovals; Daisy dies; Cuttlebug; Ranger's Buttercup Stickles. What is today?? My day on the Hero Arts blog!! I have been waiting for this day for a long time. Well, actually since the oh so talented Sally Traidman announced on July 28, 2010 over at the Hero Arts blog that I was her pick for Win A Day on the blog! Being picked was something that I had hoped for ever since I joined the Hero Arts Flickr group in January of 2009. When I found out that I had been picked I was so excited I started shaking all over and could hardly type responses to the congratulatory emails I had received from my Flickr friends, Barb and Robin. So, today I have the honor of having some of my projects featured. I spent a frantic week making my cards and getting them emailed off for Sally to review. The three she picked you can see here. I'm going to feature a couple of the cards I made that didn't make the cut. I love the cards that Sally picked, but I also really liked these two, as well. 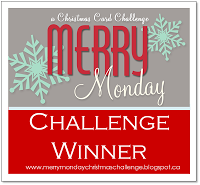 For this card I used the new Music Background cling and one of the houses from the Sending Holiday Cheer cling set. I stamped the music background on some My Minds Eye patterned paper (Snowed In) with white ink. The house was stamped on kraft cardstock with white ink and trimmed out. Some Stickles Frosted Lace was added to the roof line. For this card I used the gorgeous new design block stamp Fabulous Flourish, along with the Antique Writing cling. I stamped the Antique Writing on white cardstock with Bundled Sage Distress ink. I then stamped the Fabulous Flourish over the top with VersaMark and clear embossed. Then I got to work distressing the entire piece with more Bundled Sage ink and Forest Moss Distress ink. I just love how it turned out. I stamped the Antique Writing a second time and trimmed out the butterflies and dragonfly. They were distressed, as well and adhered to the card front. Finished off the card with some Hero Arts clear rhinestones. Thanks for taking a peek... I hope you swing by the Hero Arts blog, as well. A card for the current ODBDSLC challenge (#34) to use kraft & black plus another color. I decided to go with kraft, black & cream. I also made this card for the current Moxie Fab World challenge Perfectly Placed Pleats. Last year during the May, 2009 PaperTrey Ink release, Nichole Heady, made a card using the cutest little pleating detail (look here). She provided a template so that we could recreate the pleats ourselves. I downloaded the template and have been using it ever since. For my card I created two sections of pleating and then adhered them together so that they would fit along the length of the card. The patterned paper I used is one of my favorites from Close to My Heart, called Silhouette. The stamps, of course, are from ODBD, the set called As You Graduate. I stamped the main image on PTI's Vintage Cream cs with PTI's True Black ink. The piece was matted with True Black cs. I stamped a 2nd butterfly on Vintage Cream and then trimmed it out. I sprayed it with some Smooch (Vanilla something), but you can't really see it. Thanks for taking a peek... hope you have a wonderful week! Supplies: Cardstock: PTI Kraft, Vintage Cream & True Black; Ink: PTI True Black; Stamps: ODBD As You Graduate; Smooch; Kaiser clear rhinestones; Close to My Heart patterned paper. The current DeNami challenge is a theme challenge (theme challenge #4) to make a Christmas card. So I got out my really cute DeNami Whimiscal Tree Scene stamp and made this clean and simple Christmas card. After working for most of the week (something I don't do all the time), making a clean and simple card what just what I needed to get be back in card making mode! Thanks for taking a peek... hope you are having a wonderful weekend! Supplies: Cardstock: PTI white; Gina K. Rocket Red; Stampin Up! 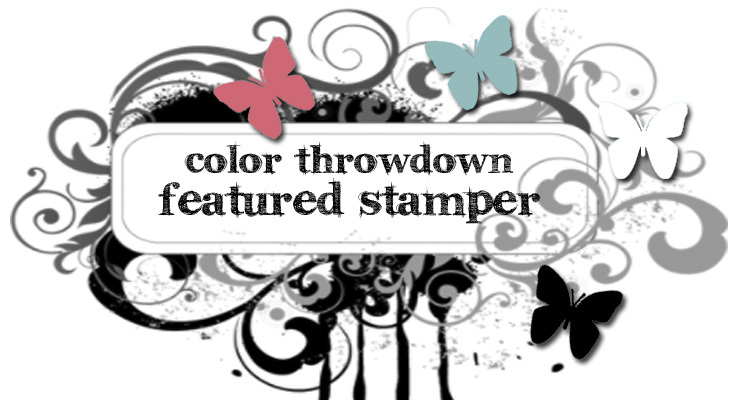 Garden Green; Ink: Memento Bamboo Leaves; Stampin Up! Riding Hood Red; Stamp: DeNami Design Whimsical Tree Scene; Ranger Stickles: Candy Cane, Holly Leaf and Buttercup. Its Tuesday afternoon and I have my card for ODBDSLC33 done! Two weeks in a row I have had my ODBDSLC card done early! The other thing that makes me happy is that my card also fits the current Stampin' Sisters in Christ challenge (#61). The ODBDSLC challenge is "anything goes" just make sure to use ODBD stamps on the card. Stampin' Sisters in Christ challenge is to create a card having to do with prayer. The ODBD set Lift Up Our Hands was perfect for both challenges. I used several different techniques for the card, including overstamping and embossing. I also used a beautiful pearl flourish from Zva Creative. I had to cut a few pieces off the flourish and reposition them in other spots, but I like how it turned out. Thanks for taking a peek... have a blessed day! Oh.... Ijust need to add this, but I just found out that I was one of the Shining Star winners for Stampin' Sisters in Christ challenge #60!! So excited!!! 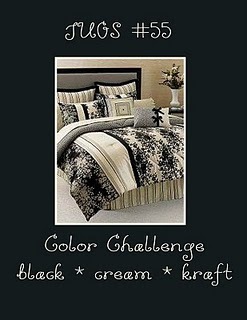 The JUGs (#55) challenge this week is a color challenge: black, cream & kraft. When I saw the challenge colors I immediately thought of the Hero Arts set Paris. I stamped the Eiffel Tower image on Vintage Cream with True Black ink and trimmed it out. I cut a piece of True Black cardstock, punched one long edge with the EK Success bracket punch and adhered it to the card front. Tied some Vintage Cream grosgrain around the card, adhered the Eiffel Tower, added the sentiment "Merci" and I was done! I love it when my ideas come together so quickly. Thanks for taking a peek... hope you had a wonderful weekend. A card I made yesterday using some more stamps from Heartfelt Creations. This time I used the following stamps: Daisy Patch Background (HCPC 3322); Daisy Patch Flowers (HCPC3318); Daisy Patch Swirls (HCPC 3324); Swirly Autumn Leaves (HCPC 3328) & Daisy Patch dies (HCD 703). I used lots of different techniques on this card, including masking, embossing and distressing. I love the softness of the Tattered Rose distress ink on the embossed Daisy background piece. I made the card for the current Stampin' Sisters in Christ challenge (#60) to make a thank you card. Thanks for taking a peek.. I hope you have a blessed day! Supplies: Cardstock: PTI Vintage Cream; Ink: Ranger Distress Inks: Tattered Rose & Bundled Sage, VersaMark ink; Stamps: Heartfelt Creations; Embossing Powder: Ranger Clear Fine Detail; Cuttlebug; Spellbinders Oval die; Heartfelt Creations die. succeed, maybe you shouldn't try again! 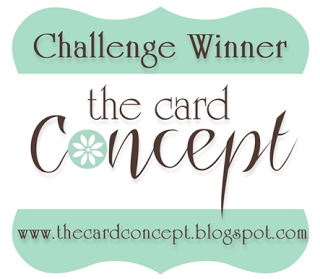 A quick post today with two cards, both for the current DeNami Design product challenge (#4) to use ribbon. I had such great ideas for this challenge, but I really don't feel like I was able to make either card work. They aren't bad cards, but they aren't really good cards either. Thus, the title of my post. I should have quit while I was behind! Anyway, this is card number one. I used the completely adorable Mimi in the Rain from DeNami for the card. I paper pieced her boots, coat/dress & umbrella. And here is the second one. For this one I used the DeNami birdhouses stamp. I created the grass using some PTI Ripe Avocado satin ribbon. Thanks for peeking... hope your day is going well. A quick post of a Heartfelt Creations design team project I made. You can see all the amazing projects made by my fellow Heartfelt Creations design team members here. And let me just say, I am on a team with some crazy talented ladies! Be prepared to be amazed! For my card I used the following Heartfelt Creations stamps and dies: HCPC 3348 Cardinal Pine Cone Border; HCPC 3353 Cardinal Family; HCPC 3349 Cardinal Holiday Mailbox & HCD 706 Cardinal Family dies. I colored all the cardinals with Copic marker R29 and then added more color and depth with Crimson Lake Prisma pencil and the blender pencil. The cardinals were diecut using the Cardinal Family dies and popped up on the main image. The pine needles and pine cones were colored with Prisma pencils and then I added some glitter. 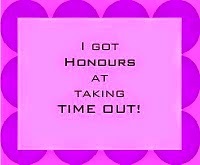 Thanks for taking a peek.... please check out the Heartfelt Creations blog, you won't be sorry! Can't believe I actually got my card for ODBDSLC32 already done. Usually I'm getting it done at the last minute. But when I saw that this week's challenge was to use leaves on your project I knew exactly what I was going to do.... use some of my Heartfelt Creations stamps! I just love the set Open Falling Leaves (HCPC 3334) and I was itching to use the Oak Leaf Background stamp (HCPC 3332). So, I combined them with a sentiment from the ODBD set Lift Up Our Hands. I applied various different Stampin Up! inks (More Mustard, Pumpkin Pie & Old Olive) to the background stamp and then stamped it on Vintage Cream cardstock. I did the same treatment to the single maple leaf from the Open Falling Leaves set and trimmed it out. The sentiment was stamped in Pumpkin Pie and then matted with some Old Olive cardstock. The sentiment was adhered to the background stamped piece, some rust silk ribbon was tried around the piece and then the single leaf was attached. A few rhinestones completed the card. Thanks for taking a peek... hope you are enjoying your fall! Yep, its raining, but what else do you expect in the NW in the fall? However, the wet and the gloom make for a perfect opportunity to stay inside and make cards. I did that yesterday and hope to do so today. And I actually got two cards done! The one I'm posting today is for JUGs challenge 54 and Waltzingmouse sketch challenge 18. The JUGs challenge was to use acetate on your project. I haven't done alot of things using acetate, but after buying some Hero Arts clear cards recently I'm inspired to try it more often. I stamped the clear card with the Hero Arts DB Holly Flourish using Stazon Cloud White and let it dry. I used the WMS set Very Vintage Christmas and a Prickly Pear Stamps set called Clearly Beautiful Trees that I won recently from Prickly Pear. The set has a matching tree die and I won that, as well. After diecutting and then stamping all the bits and pieces using SU! Riding Hood Red & Memento Bamboo Leaves, I distressed the edges with Close to My Heart Parchment. Some tiny sparkles were added to the trees and I finished it off with a bow made from PTI's New Leaf ribbon. I have a shot (not a very good one, though) of the interior, as well. Thanks for taking a peek... hope your weekend was nice and dry! Now that I have my Hero Arts deadline behind me I plan to start making and posting more cards and projects using stamps and dies from Heartfelt Creations. Today I made this pretty simple looking card that was anything but simple to put together. It all started when I saw Susan's One Layer Wednesday challenge (#23) "Heavy Metal". The challenge was to create a one layer card using metallics on the card. Now, I love the look of metallic ink.... on other people's cards, just not on mine. Probably because I just can't seem to get a real good impression with metallic ink. Anyway, the challenge got my gears moving and I decided to do some embossing using one of the Heartfelt Creations die set (HCD 705 - Holly/Ornaments Diecuts). I centered the die on the cardstock, taped it down, then made my "sandwich" (for the Cuttlebug spacer plate, B plate cardstock/die combo - cutting side facing up, cardstock shims, tan embossing pad & 2nd B plate) and ran it through the Cuttlebug. That was the easy part. Getting the ornament (HCPC3336 Ornament Medallion set) stamped centered in the ornament is where things got tricky. I ruined several pieces of cardstock until I got it mostly right. I do love the look, though. Thanks for taking a peek... have a great day! Wow, I can't belive I haven't done any blogging since Sunday! 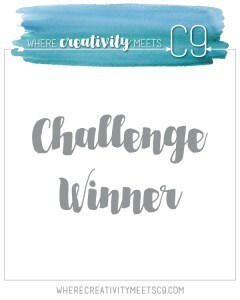 I have been making cards like a crazy woman, but I can't post any of them yet because I made them for my Hero Arts Win A Day on the blog that is coming up on October 26th! I'm really excited about being featured on the Hero Arts blog and so glad that now I know when! My card for today, though, is for two challenges: JUGs53 and ODBDSLC31. 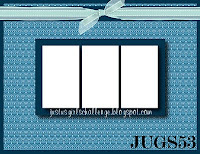 The amazing gals at JUGs are celebrating their one year anniversary, WOO HOO!!! If you have never tried out JUGs, you really need. They always have fantastic challenges week after week! 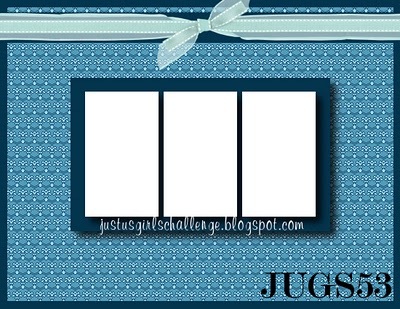 The JUGs challenge is to make a card based on the lovely sketch that has been provided. The ODBDSLC challenge is to make a card using "wings". I used the ODBD sets Don't Worry & From Me to You for the card, along with some lovely DCWV Mariposa papers. Thanks for taking a peek.... have a wonderful day! Today I'm posting my card for One Layer Wednesday (OWL22). This week Susan was all about gratitude and on Wednesday challenge us to make a one layer card to thank a special mom in our life. Could be our mom, mother in law, sister, etc. I decided to make the card for my mom. I have always appreciated her advice (which she only provides upon being asked!) and the fact that she gives her love unconditionally. Aside from being a good mom, she is a very good gardener and her yard was always a riot of color throughout the year. There are some flowers that she likes more than other, Lily of the Valley being one. I have had PTI's Lily of the Valley set for sometime now and finally inked it up for the card. I stamped in it Memento's Rich Cocoa and then colored it with Prisma pencils and the blender pencil. I stamped the sentiment (a combination of "mom" from PTI's Women of Life and a sentiment from Lily of the Valley) in black ink to make it stand out more. I know she will enjoy receiving this card. Thanks for taking a peek... hope you had a wonderful weekend! Supplies: PTI Kraft cardstock; Stamps: PTI Lily of the Valley & Women of Life; Ink: Memento Rich Cocoa; PTI True Black, Prisma pencils. Today is World Cardmaking Day and I spent most of it with my oldest son at a Lego convention! Don't get me wrong its fun to go and check out the amazing Lego creations that are on display and spend some one on one time with him, which he really enjoys. Plus, we got to go to Kidd Valley (a fast food place in Seattle, WA) for yummy burgers and sweet potatoe fries!! We did get home early enough for me to get started on some projects that I need to have done by the end of this week. And I did get my card for One Layer Wednesday done, but I will be posting that probably tomorrow. Today, I'm sharing some cards I made using stamps and dies from Heartfelt Creations. I was recently fortunate enough to have been chosen to join their design team and I will be sharing more projects using their fabulous products in the coming weeks and months. First up is a card from the Cardinal Family/Holly Berry collection. The stamp set is called Joyous Noel. I decided to go all silver and white with some blue provided by the gorgeous blue silk ribbon. The next card is from the just released collection called Winter Wonderland. The specific set is called Fancy Ornaments & has a matching die set. For this card I used PTI's Ocean Tides &Vintage Cream. Ocean Tides is one of my favorite PTI colors. As this is the release week for the Winter Wonderland collection, Heartfelt Creations is giving away the entire release to TWO lucky people. Just head to the HC blog and leave a comment for a chance to win. You must be quick, though, the contest ends on October 5th. 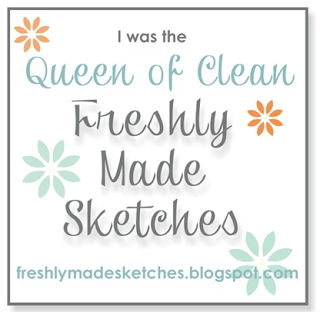 Thanks for taking a peek... hope you got some time to craft for world cardmaking day! and ColourQ 52. 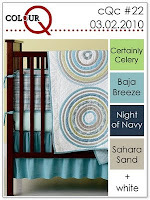 This week ColourQ is one year old! Arielle posted her 52nd color challenge on Tuesday, September 28th and to celebrate she mixed things up a bit. 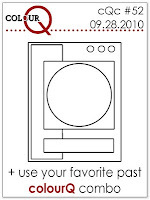 Colour52 is a pick your favorite past ColourQ combo and make your project using the sketch she provided. 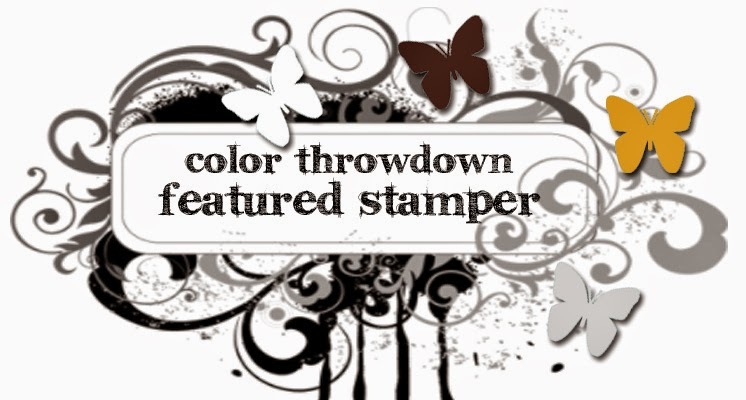 And to add more fun, Arielle is giving away a $25.00 gift certificate to either PaperTrey Ink, Stampin Up!, twopeasinabucket.com or jessicasprague.com. To be eligible you must post both your color combo & the sketch on your blog and then leave comments for the design team... easy enough! I found ColourQ in probably May of this year, so I hadn't done that many of the color combos. I took a look at the past line up and chose a combo (#22) made up of Certain Celery, Night of Navy, Baja Breeze, Sahara Sand and white. All SU! colors that I happen to own!! Yay! I used the Hero Arts set Sea Life and their new Music Background for the card. I just took a look at the sketch and realized that I put something on the sketch in the wrong spot! Oh well... too late to change it! 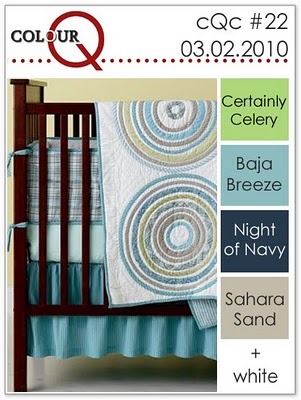 Thanks for taking a peek... and if you haven't tried ColourQ, you really should! I stamped the clear card with Modern Lines stamp using Pumpkin Stazon and then attached a piece of cream cardstock cut slightly smaller than the card and scored to the inside of the clear card. The Hero Arts pumpkins were stamped using Stampin Up! Close to Cocoa ink and them colored/distressed using three shades of Rangers Distress ink: Scattered Straw, Wild Honey & Spiced Marmalade. I then trimmed them out and attached them to the card front. Some small leaves from the Hero Arts set Season of Giving were distressed, as well, trimmed out and attached to the card. Thanks for taking a peek... I had fun this week pairing up with Latrice and seeing what she came up with using the same stamp. Supplies: Cardstock: PTI Cream; Hero Arts clear card; Ink: Stazon Pumpkin; SU! Close to Cocoa; Ranger Distress ink: Scattered Straw, Wild Honey & Spiced Marmalade; Stamps: HA Modern Lines DB; Season of Giving.